An ETA is an ​Electronic Travel Authorization. Anyone traveling to Canada, needs various documents . This goes for any foreign national no matter the nature of the visit you are taking be it tourism, business, school etc. This is one of the ways the government uses to keep track of the foreigners in the country at any specific time. 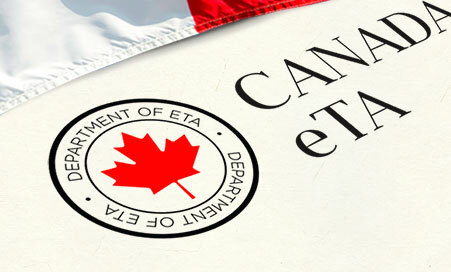 As time goes by, there have been many changes to the Canada ETA which has helped make the rules stricter such as the end of leniency to all the travelers. Travelling to Canada, what are the formalities ? For anyone travelling to the country, there are various formalities you have to go through for you to be allowed to visit. This is for whatever type of visit it is you are taking. Be it as a tourist or a citizen getting back into the country or a student from another country. For the government, these documents are mandatory for any type of travel to or from the country. For the new travelers to the country, ensure you get all these things right before embarking on that journey. This will help give you an easier time with the authorities at the airport and on entry into the country. For many this is usually something they many not take seriously. However, because of the very many threats to various countries, there have been more stringent rules put in place that help keep track of who is in the country at whatever time. Application for the ETA, mandatory ? With the internet, eTA application for the authorization forms has become easier and very fast. Now you can easily apply for the passport and the visa and get them within no time through the online portal that contain each form and scheme you need. This is a way the government has eased the whole process so as to deal with the very many people travelling from time to time and to different places. There are documents that are mandatory when traveling to Canada. These are the identification documents required by the government for everybody traveling into the country. Therefore for anybody traveling there you need to have them and in the right order with the right information.